Nickelodeon UK Holds Special "Winx Club" Launch Party To Celebrate The UK Debut Of "Winx Club: Beyond Believix"! According to the 'Family Four Fun' blog, Nickelodeon UK recently held a special "Winx Club" launch event to celebrate Nickelodeon UK starting to premiere and show Nickelodeon's brand new fifth season of "Winx Club", called "Beyond Believix", which Nickelodeon co-produced with Rainbow S.r.l., on Nickelodeon UK and Ireland and Nickelodeon HD UK every Saturday and Sunday at 7.30am (repeated at 8.30am on Nick UK's plus-one (+1) timeshift channel, Nickelodeon+1), from Saturday 17th November 2012, starting with the brand new "Winx Club" episode "The Lilo" as part of Nickelodeon UK's brand new "Winx Club" themed programming stunt called "Winx Club Weekends" and as part of "November on Nickelodeon UK 2012"! As part of Nick UK's "Winx Club: Beyond Believix" launch party, lucky attendees were greeted by their favourite "Winx Club" fairies and treated to a very special preview screening of "Winx Club" season 5 on a big cinema screen. Nickelodeon UK also offered lucky attendees the chance to listen to a sneak peek of the brand new "Winx Club" theme tune and single called "We Are Believix", which is sung by Nickelodeon Star Elizabeth Gillies, who voices the "Winx Club" character 'Daphne', take part in a special dancing competition at Nickelodeon UK's special 'Frutti Music Bar', participate in special "Winx Club" arts and crafts activities with Stella, get pampering sessions from 'Bloom's Beauty' stall, which included nails, glitter tattoos and colourful hair extensions, and the chance to take a special look at Jakks Pacific's brand new "Winx Club" toy line, which features brand new "Winx Club" dolls and accessories, including a 'everyday' dolls line which can be customised with add-on outfits and wings, and can hang out in the Frutti Music Bar or put on a concert on their very own 'Rock Stage'! You can find Family Four Fun's full report of Nickelodeon UK's recent "Winx Club: Beyond Believix" launch party, including photographs, here on the official 'Family Four Fun' website, familyfourfun.blogspot.co.uk. Nickelodeon Scandinavia And Nickelodeon Benelux Pick Up The Broadcast Rights To Planet Nemo's Brand New Television Series "Groove High"
Paris, France-based Planet Nemo has sewn up a number of international TV deals for its brand new 2D/live-action comedy series Groove High including Disney Channels EMEA. The 26 x 30-minute series, aimed at kids six to 14 and co-produced with Telegael and Nexus, has been picked up by Disney Channels EMEA for broadcast in the UK, France, Italy, Australia, New Zealand, India, Portugal and Spain. Additional broadcasters acquiring the series include Canal Plus (Poland), Nickelodeon (Benelux/Scandinavia) [Nickelodeon Benelux; including Nickelodeon Belgium and Nickelodeon Netherlands, and [Nickelodeon Scandinavia; including Nickelodeon Denmark, Nickelodeon Norway, and Nickelodeon Sweden]], Noga (Israel), PBS Malta, TG4 (Ireland), Televisa (Latin America), YLE (Finland), E-Vision (Dubai) and French language channel TV5 Monde. 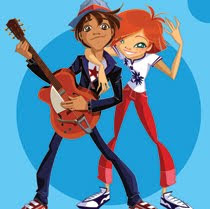 Groove High follows the high school adventures of two teen rock stars and premiered in France in September 2012. Its UK launch will begin next month with new territories set to air the series in 2013. 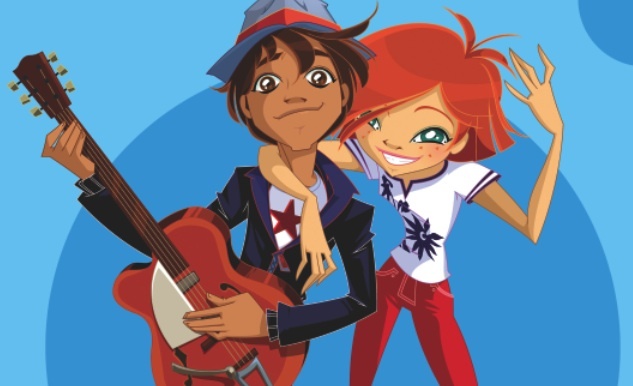 A raft of broadcasters across EMEA and Latin America have picked up Groove High, a French/Irish animation and live-action hybrid kids’ series. Disney Channel has acquired the 6-14 year-old skewing Groove High (26x30′) for its pan-regional EMEA feed. The series is coproduced by French producer and distributor Planet Nemo alongside compatriots Nexus Factory and Irish toon house Telegael Teoranta. After making its debut on Disney France in September, Groove High will air on the Disney Channel in the UK in November and then with the Mouse House in Italy, Portugal, Spain, Australia, New Zealand and India in 2013. The comedy series follows the story of a group of talented kids living in an elite school for the performing arts, as told by two of its rock star alumni. Nemo has also secured broadcast agreements with Canal Plus (Poland), Nickelodeon (Benelux/Scandinavia), Noga (Israel), PBS Malta, TG4 (Ireland), Televisa (Latin America), YLE (Finland), E-Vision (Dubai) and French language channel TV5 Monde. Disney Channels has commissioned Groove High, a kids comedy from French producer Planet Nemo, and will air it across the world. The network will air the 26x30mins series in the UK, France, Italy, Australia, New Zealand, India, Portugal and Spain. 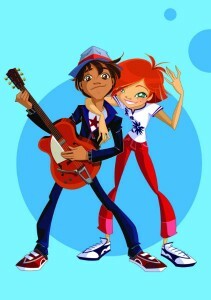 Groove High is a 2D animated series with live action segments and targeting kids six to fourteen. The show is produced by Planet Nemo in association Telegael and Nexus. It has also been pre-sold to international broadcasters including Canal Plus (Poland), Nickelodeon (Benelux/Scandinavia), Noga (Israel), PBS Malta, TG4 (Ireland), Televisa (Latin America), YLE (Finland), E-Vision (Dubai) and French language channel TV5 Monde. The series follows teens Zoe and Tom who are touring with their rock band but are also nostalgic about their high schools. Pleasure Beach Blackpool Turns Vampire Pleasure Beach On Wednesday 31st October 2012 To Celebrate Halloween! Vampire Pleasure Beach returns with amazing rides, a special Horror Maze and a host of frightening figures lurking in the depths ready to give guests the thrill of their lives – if you dare! There’s also a chance to dance with the zombies on our special Rock Out Stage to great bands, located by the Spectacular Dancing Water Show from 4pm. Bands include Boomin, R3action and Redactor will play throughout Vampire Beach, providing the perfect soundtrack to a night of unearthly excitement. Guests can take on white-knuckle rides like the Big One, the UK’s tallest roller coaster, or have their senses spinned on Infusion and then reach for the heavens with the towering Ice Blast ride. And for the little monsters there are the thrills and spills of Nickelodeon Land to enjoy – but you still won’t escape the zombies. Characters including SpongeBob SquarePants and Dora the Explorer will be on hand to make sure the frights are kept away for the family, while there will be tricks and treats for all at the UK's only Nick Shop. The Chinese Puzzle Maze will be transformed into the Horror Maze for Vampire Beach, providing a frightening yet fun experience for guests. All guests arriving in costumes will receive a free blood-red cocktail upon arrival at the attraction. Vampire Beach wristbands are available from 4pm and can be booked online for £17 in advance or £22 on the gate. Blackpool Pleasure Beach will be open until 10pm; guests who already have a wristband for the day are welcome to enjoy the rest of the events taking place this Halloween. The Sheriff of Nottingham once (allegedly) outlawed Robin Hood for the forcible redistribution of wealth; now Nottinghamshire County Council intends to spend £13m using his name to enrich the local area. 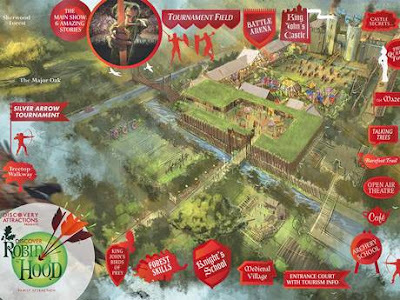 The Council has announced plans to build an amusement park in Sherwood Forest, Discover Robin Hood, which it hopes will attract major investment. The park – featuring activities such as archery, falconry, jousting and wild food cookery – will be developed by Discovery Attractions, which has also worked with Madame Tussauds and Alton Towers. Rob Gray, the firm's marketing director, described Robin Hood as "a global brand that deserves to be celebrated". Just as the movie industry now leans on pre-existing narratives for its biggest releases – superheroes, videogames, fairytales, rides – so the theme-park industry is increasingly adorned with familiar names. Earlier this month, Paramount Studios revealed plans for a £2bn theme park in Kent, to compete with the Disneyland Paris. It would, developers claim, create 27,000 jobs. It would also be packed with themed rides based on its cinema hits, which include Transformers, Star Trek, Titanic and the Indiana Jones series. The Paramount park conforms to a traditional model – pioneered by Disney and Universal Studios – of a park owned and operated by a brand. Now, however, say experts, savvy but small-brand owners are partnering with existing parks to produce attractions that benefit the brand and the venue. Paulton's Park in Hampshire, for instance, claims its attendance has doubled to one million visitors per year since the addition of Peppa Pig World in 2011, forcing Paulton's to the top of the first division of British theme parks. Blackpool Pleasure Beach has benefited from its Nickelodeon Land attraction last year, and recently announced that it would launch Wallace and Gromit's Thrill-O-Matic ride in 2013. It used to be that the theme park itself was the brand, still the case for the likes of Thorpe Park, Alton Towers and Chessington World of Adventures: all run by Merlin, the world's second biggest operator after Disney. One of Merlin's biggest attractions, however, is Legoland Windsor. Drayton Manor in Staffordshire's biggest draw is Thomas Land, a Thomas and the Tank Engine-themed zone, while this year saw the opening of the UK's first official Angry Birds play area at Sundown Adventureland in Nottinghamshire. 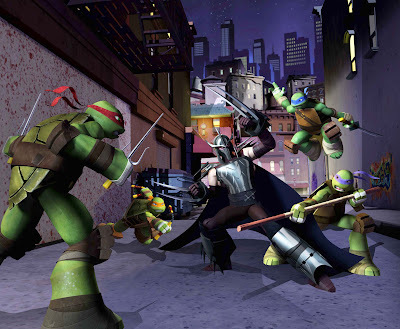 UPDATE (Tuesday 6th November 2012) - Nickelodeon UK has now announced that Nickelodeon UK/HD will now premiere the brand new "Teenage Mutant Ninja Turtles" called "The Gauntlet" on Monday 26th November 2012. Nickelodeon UK and Ireland has announced the Nickelodeon UK and Ireland News that Nickelodeon UK will premiere and show the ninth brand new episode of Nickelodeon's brand new action-packed CGI-animated "Teenage Mutant Ninja Turtles" television series, called "Enter Shredder" (also known as "The Gauntlet"), on Nickelodeon UK and Ireland and Nickelodeon HD UK on Monday 19th November 2012 at 5.00pm (repeated at 6.00pm on Nick UK's plus-one (+1) timeshift channel, Nickelodeon +1), as part of "November on Nickelodeon UK 2012" and as part of Nickelodeon UK's Autumn/Winter 2012 highlights! In the brand new episode of Nickelodeon's brand new "Teenage Mutant Ninja Turtles" CGI-animated TV show called "Enter Shredder" (AKA "The Gauntlet"), which Nickelodeon/HD UK and Ireland will premiere at 5pm on Monday 19th November 2012, after April O'Neil receives a warning from her imprisoned father, Kirby, she and the Heroes in a Half Shell embark on a mission to save him and stop the Kraang from detonating a mutagen bomb in the city! Nickelodeon UK and Ireland has announced the Nickelodeon UK and Ireland News that Nickelodeon UK will start to premiere and show brand new episodes of the brand new Australian live action television series "Alien Surf Girls" (also known as "Lightning Point") on Nickelodeon UK and Ireland and Nickelodeon HD UK in a Monday to Thursday format at 6.30pm (repeated at 7.30pm on Nick UK's plus-one (+1) timeshift channel, Nickelodeon +1) from Monday 19th November 2012, starting with the brand new episode of "Alien Surf Girls" called "Distracted", as part of "November on Nickelodeon UK 2012"! In the brand new episode of "Alien Surf Girls" titled "Distracted", which Nickelodeon/HD UK and Ireland will premiere at 6.30pm on Monday 19th November 2012, many weeks after the boat was discovered in the cane field, no clues have been found and no further message from Lumina has come. Zoey is frustrated – so she throws herself into surfing. Brandon notices her new energy on the waves and on her behalf, challenges Madison to an impromptu surf competition. But the only way Zoey can win is with Brandon's help. She reluctantly agrees... Meanwhile, Kiki just cannot believe that the boat doesn't hold more secrets. When Amber and Luca refuse to help her, Kiki ventures to the boatyard alone – and into the domain of old alien hunter Harry Dean. "See the Light" on Monday 26th November 2012 at 6.30pm - The gang decide not to let Brandon know about the toy lighthouse until they know more about it – except Zoey, whose growing feelings for Brandon make her more sensitive to his needs to reconnect with his parents’ past. Howver, Brandon discovers the toy lighthouse from his past, it reveals another dark secret, a Plasma Card. How can he tell his girlfriend that he's found alien technology – and can use it? "Vanished" on Tuesday 27th November 2012 at 6.30pm - Zoey and Brandon are closer than ever, so when Amber suggests a house party to celebrate the newest couple in Lightning Point, everyone's excited. That is, except Madison. But when Brandon accidentally makes Madison disappear, Zoey and Kiki realise what this means – he is half Luminan! "Power Up" on Wednesday 28th November 2012 at 6.30pm - Zoey and Kiki are relieved to find out that half-Luminan Brandon can't use the card properly. Perhaps he'll never need to know their secret? The only way they can be sure they are out of danger though, is to destroy the card. But when Zoey is nearly caught by Brandon trying to steal it, Luca has to take matters into his own hands, and Brandon starts to remember moments from his childhood and finally discovers how to unleash his full power. "Heartbreak" on Thursday 29th November 2012 at 6.30pm - Zoey can't help but feel Brandon needs to know who she truly is. But before she can tell him, a dangerous lightning storm engulfs Lightning Point. Zoey has to choose between keeping her secret or saving Brandon's life – and risk losing him either way. Nickelodeon UK has also announced plans to premiere the brand new episodes of "Alien Surf Girls" called "Poles Apart" and "Family Ties" on Nickelodeon UK and Ireland and Nickelodeon HD UK as part of "November on Nickelodeon UK 2012", "December on Nickelodeon UK 2012", as part of Nickelodeon UK's Autumn/Winter 2012 highlights. With "Alien Surf Girls", Nickelodeon brings you Australia's latest teen export, which is packed full of sun, sea, surf and secret identities! Produced by the creator of H2O: Just Add Water, Jonathan M. Shiff, "Alien Surf Girls" follows the adventures of teen aliens Zoey and Kiki as they embark on a forbidden mission to Earth. When their spaceship explodes, the girls become stranded in the sleepy surf town of Lightning Point and their real adventure begins. Amber, a local surfer girl witnesses their alien powers and quickly becomes a friend and an ally to Zoey and Kiki. Despite Amber's best efforts, the extra terrestrial arrival in Lightning Point causes a stir. Can Zoey and Kiki make it home safely before their true identity is revealed? "Alien Surf Girls" stars Philippa Coulthard as Amber Mitchell, Lucy Fry as Zoey, Jessica Green as Kiki, Andrew James Morley as Brandon Benedict, Kenji Fitzgerald as Luca Benedict, and Paige Houden as Madison, and features Simone Bennett-Smith as Olivia Mitchell, Reece Milne as Liam, Da Yen Zheng as Gina, Lia Fisher as Mia, Erin Mullally as Josh, Anthony Standish as Mr. Phillips, Java as Piper the Dog, and Elmo as Bandit the Horse. Nickelodeon UK and Ireland has announced the Nickelodeon UK and Ireland News that Nickelodeon UK will premiere and show the brand new episode of the popular animated Nickelodeon series (Nicktoon) "Kung Fu Panda: Legends of Awesomeness" called "The Most Dangerous Po" on Nickelodeon UK and Ireland and Nickelodeon HD UK on Saturday 17th November 2012 at 9.00am (repeated at 10.00am on Nick UK's plus-one (+1) timeshift channel, Nickelodeon +1), and will show a encore of the brand new "Kung Fu Panda: Legends of Awesomeness" episode titled "The Most Dangerous Po" the same day at 5.00pm (repeated at 6.00pm on Nick +1) as part of "November on Nickelodeon UK 2012" and as part of Nickelodeon UK's Autumn/Winter 2012 highlights! In the brand new episode of "Kung Fu Panda: Legends of Awesomeness" called "The Most Dangerous Po", Po's visit to a famous war hero goes awry when he finds out the famed and retired General Tsin is off his rocker. The popular animated Nickelodeon series (Nicktoon) "Kung Fu Panda: Legends of Awesomeness" is based on the hit CGI-animated "Kung Fu Panda" franchise, and is set between the two successful DreamWorks Animation movies "Kung Fu Panda", which was released in theaters and cinemas in 2008, and "Kung Fu Panda 2", which was released in theaters cinemas in 2011, and follows Po and the Furious Five as they defend the Valley of Peace from villains of different kinds. All the while, Po makes mistakes, learns lessons, learns more about the history of Kung Fu, and meets famous Kung Fu masters like himself. Nickelodeon UK has announced the Nickelodeon UK News that the first brand new episode of Nickelodeon's brand new fifth season of "Winx Club", called "Beyond Believix", which Nickelodeon co-produced with Rainbow S.r.l., that Nickelodeon UK and Ireland will premiere will be the brand new "Winx Club" episode called "The Lilo", which Nickelodeon UK and Ireland and Nickelodeon HD UK on Saturday 17th November 2012 at 7.30am (repeated at 8.30am on Nick UK's plus-one (+1) timeshift channel, Nickelodeon+1). Nickelodeon UK will then continue to premiere and show more brand new season five episodes of "Winx Club" every Saturday and Sunday at 7.30am as part of Nickelodeon UK's brand new "Winx Club" themed programming stunt called "Winx Club Weekends" and as part of "November on Nickelodeon UK 2012"! In the brand new episode of "Winx Club: Beyond Believix" titled "The Lilo", the Trix return and the Winx are back at Alfea training. Ms. Faragonda calls the Winx in and tells them about the Lilo, a magical plant which is on the verge of blooming for the first time in centuries, and it is somewhere on Earth, in Gardenia. However, the Trix are searching for the Lilo as well. The Winx find that the Lilo is in the possession of Macy, Mitzi's younger sister. The Winx try to stop the Trix from gaining the Lilo's great powers. When the people of Gardenia express their belief in magic, the Winx are able to defeat the Trix and the Lilo blooms, sending magic all over Gardenia. Nickelodeon's hit international series, "Winx Club", focuses on six best friends enrolled in fairy school as they face many adventures together with strength, smarts and teamwork. Nickelodeon's "Winx Club" features the voices of some of Nickelodeon's biggest stars, including Keke Palmer ("True Jackson, VP") as Aisha; Elizabeth Gillies ("Victorious") as Daphne; Ariana Grande ("Victorious") as Diaspro; and Matt Shively ("True Jackson, VP") as Skye; as well as Molly Quinn ("Castle") as Bloom. NEW YORK, Oct. 30, 2012 /Nickelodeon Press Release via PRNewswire/ -- Tyra Banks, Justin Bieber, Josh Duhamel and Emma Stone join creator, host and executive producer Nick Cannon in celebrating four exceptional teens in this year's TeenNick HALO Awards. Recognizing real-life teens who are "Helping and Leading Others" (HALO), the fourth annual awards show pairs each honoree with a mega-celebrity who shares their commitment to service. The TeenNick HALO Awards will be taped live from the Hollywood Palladium in Los Angeles, Calif., on Saturday, Nov. 17 and premiere Monday, Nov. 19, at 8 p.m. (ET/PT) on Nick at Nite. The 90-minute special will feature musical performances, celebrity presenters and special surprises. The TeenNick HALO Awards will encore Tuesday, Nov. 20, at 10 p.m. (ET) on TeenNick. (Download image: Photo - http://photos.prnewswire.com/prnh/20121030/NY02413; Caption: Nick Cannon will host the Fourth Annual TeenNick HALO Awards airing on Nick at Nite Monday, Nov. 19 at 8 PM (ET/PT). )"Each year we continue to be inspired by young people giving of themselves and we are honored to give back to them," said Nick Cannon. "We applaud these HALO honorees and their outstanding commitment to service on a local and national level." "The TeenNick HALO Awards started out as a concept Nick Cannon brought to us and it's become a movement that has grown with every person it touches – the teens who serve others, the celebrities who honor them, the people whose lives they've impacted and the viewers who are left inspired," said Paula Kaplan, Executive Vice President, Current Series, Nickelodeon. "We hope by celebrating teens each year with this show, it will motivate other teens to create positive changes in their communities." Allyson Ahlstrom, 17, Santa Rosa, Calif. (paired with Tyra Banks) -- A bubbly and fashion forward self-starter, Allyson Ahlstrom was inspired to combine her love of fashion and community service to create Threads for Teens, an organization that collects and distributes clothing to disadvantaged (low income, foster care, etc.) teen girls. She provides one-on-one support to every one of the girls as they shop, bonding over fashion, talking about their lives and sharing motivational advice. In just two years Ahlstrom moved her organization into a fashionable pink boutique, raised over $130,000 in product donations and outfitted over 200 girls. Ahlstrom's HALO match, Tyra Banks, started TZONE at the Lower Eastside Girls Club, providing a rich mix of career development workshops, mentoring, experiential learning opportunities, financial literacy initiatives and community-wide events so hundreds of girls will build self-esteem and develop the tools they need to prepare for lives as entrepreneurs and change-makers in the world. Matt Ferguson, 18, Hillsboro, Ore. (paired with Emma Stone) -- Matt Ferguson was inspired to start Matt's Chemo Bags after finding out his mom had been diagnosed with invasive breast cancer. He began building bags of essential items (lotion, tissues, warm socks, a handmade blanket, a lap pillow, notebook) to distribute to women suffering from breast cancer in hopes that it would bring them the same comfort that a similar bag brought his own mother as she went through chemotherapy. His organization now services all of Oregon, Southwest Washington, and Northern California and has distributed over 7,500 bags. Ferguson's HALO match, Emma Stone, is an advocate for Stand Up To Cancer, an initiative created to accelerate innovative cancer research that will get new therapies to patients quickly and save lives now. Kylie Lan Tumiatti, 16, West Melbourne, Fla. (paired with Justin Bieber) -- Kylie Lan Tumiatti developed a passion for giving back to the community early on, after watching her younger sister struggle with learning English. Tumiatti decided to help others who faced similar obstacles and partnered with Operation Hope Florida, a non-profit facility that provides prekindergarten classes to children of migrant workers. Together they implemented a literacy program that enhances the language skills of young children while simultaneously instilling a love of stories and books. Tumiatti's HALO match, Justin Bieber, is big supporter of Pencils of Promise, which works to build schools and increase educational opportunities in the developing world. Taylor Waters, 19, Sanford, N.C. (paired with Josh Duhamel) -- A compassionate leader and aspiring teacher, Taylor Waters belief in giving back to her community stems from her personal experiences with disaster. She continues to encourage youth involvement through her hometown American Red Cross and she is establishing her own Red Cross Club at East Carolina University. Waters' HALO match is Josh Duhamel, who supports the disaster relief efforts of the American Red Cross, as well as his hometown's Minot Area Community Foundation in North Dakota which establishes permanently endowed funds to support both local and national charities and charitable causes. The offerings on the TeenNick HALO Awards dedicated site will include behind-the-scenes footage and exclusive interviews with the HALO honorees, along with celeb and honoree profiles, photo galleries and a collection of inspiring, HALO-themed personality quizzes. Content will also be available via TeenNick's social media channels and will roll out throughout the month of November and in the week leading up to the event. Users can upload their own videos explaining how they HALO, with the best videos to appear on air and on TeenNick.com. Users will also be able to nominate a friend for next year's TeenNick HALO Awards. Presenting sponsors of the fourth annual TeenNick HALO Awards are Chevrolet, COVERGIRL, Reese's Puffs® cereal and Target. Nickelodeon, now in its 33rd year, is the number-one entertainment brand for kids. It has built a diverse, global business by putting kids first in everything it does. The company includes television programming and production in the United States and around the world, plus consumer products, online, recreation, books and feature films. Nickelodeon's U.S. television network is seen in more than 100 million households and has been the number-one-rated basic cable network for 17 consecutive years. For more information or artwork, visit http://www.nickpress.com. Nickelodeon and all related titles, characters and logos are trademarks of Viacom Inc. (NASDAQ: VIA, VIA.B). Justin Bieber, Emma Stone, Tyra Banks and Josh Duhamel are honoring teens who give back to their communities. Nickelodeon announced Tuesday that each star will pay tribute to a teenage volunteer at the fourth annual TeenNick HALO Awards. The awards are presented to young people who are "helping and leading others." Nick Cannon, who created the awards show, will serve as host and executive producer. The awards are set to tape Nov. 17 at the Hollywood Palladium and will air as a 90-minute special on Nov. 19. The four honorees come from across the country and range in age from 16 to 19. One started an organization to help outfit low-income teenage girls. Another makes and distributes gift bags for breast-cancer patients undergoing chemotherapy. Tuesday that Justin Bieber, Emma Stone, Tyra Banks and Josh Duhamel will pay tribute to a teenage volunteer at the fourth annual TeenNick HALO Awards. The awards are presented to young people who are "helping and leading others." Nick Cannon, who created the show, will serve as host and executive producer. The awards are set to tape Nov. 17 at the Hollywood Palladium and will air as a 90-minute special on Nov. 19. Rich Ross, former chairman of The Walt Disney Studios and president of Disney Channels Worldwide, has been named CEO [chief executive officer] of Shine America, Shine Group said Tuesday. In January, Ross will take over from Carl Fennessy, the current CEO, who will return to Australia in the middle of next year after completing his two-year term at the company in Los Angeles. "We are delighted that Rich will be coming to Shine America to build on the brilliant and transformative work achieved under Carl's tenure," said Alex Mahon, Shine Group's CEO, in a statement. "Rich is an outstanding creative leader, responsible for not only launching iconic franchises but overseeing explosive growth in broadcast brands under his direction. He is perfectly suited to lead Shine America into its next phase of growth and complements Shine Group's senior team of creative entrepreneurs globally." Shine America -- the U.S. division of the U.K.-based production company founded by Elisabeth Murdoch, daughter of News Corp. Chairman and CEO Rupert Murdoch - produces such shows as Fox's MasterChef and NBC's The Biggest Loser. Coming up for the company are Oxygen's The Face; FX's The Bridge, which is the company's first scripted pilot; and Shine America's first Spanish-language production, MundoFox's Minuto Para Ganar, which is the Spanish-language version of Minute to Win It. In recent months, Shine America also has launched a New York-based format label, Ardaban. Ross began his career at Nickelodeon, rising to vice president of program enterprises. He joined FX Networks in 1993 as part of their launch executive team, overseeing development and production for the network. In 1996, Ross joined Disney Channels Worldwide, rising to the position of president. In that role, he was responsible for developing and launching such hit shows as Hannah Montana, Lizzie McGuire, Phineas and Ferb and That's So Raven, as well as creating original movie franchises High School Musical, Camp Rock and The Cheetah Girls. Most recently, Ross served as chairman of The Walt Disney Studios from October 2009 to April 2012. Films released during that time included Disney's Pirates of the Caribbean: On Stranger Tides, Tim Burton's Alice in Wonderland, and the reboot of The Muppets starring Jason Segal and Amy Adams. The studio also released Disney-Pixar's Toy Story 3 and Cars 2 and DreamWorks Studios' The Help during that time. As chairman, Ross oversaw all elements of development, production, marketing and distribution for the film, musical and theatrical divisions. Former Disney exec Rich Ross has been appointed CEO of Shine America, replacing Carl Fennessy, who will return to Australia. Ross, who was chairman of The Walt Disney Studios and president of Disney Channels Worldwide left the Mouse earlier this year. Fennessy will be reunited with his brother Mark, together maintaining the role of joint CEO of Shine Australia, returning home in mid-2013. Ross began his career at Nickelodeon where he was promoted to VP of programme enterprises. He joined FX Networks in 1993 as part of the executive team leading its launch and then joined Disney Channels Worldwide in 1996 where he eventually became president. At Disney he led the development of international children’s hits including Hannah Montana and Lizzie McGuire and original movie franchises including High School Musical. Most recently he was chairman of The Walt Disney Studios from October 2009 until April this year, overseeing development, marketing and distribution of films including Pirates of the Caribbean: On Stranger Tides and Alice in Wonderland but also the huge flop John Carter, over which he resigned. Shine America currently produces the US version of MasterChef for Fox, The Biggest Loser for NBC and is working on its first scripted pilot, The Bridge, for FC. It is also working on its first Spanish-language production, Minuto Para Ganar for MundoFox. Rich Ross, former chairman of The Walt Disney Studios and president of Disney Channels Worldwide has been named CEO of Shine America. Ross will succeed Carl Fennessy, who will return to Australia upon the completion of his pre-determined two-year term in Los Angeles. Fennessy, joint CEO for Shine Australia, will also be present for the hand-over to Ross, who joins the Shine America team in January. Ross began his career at Nickelodeon, and then joined FX Networks in 1993 as part of its executive launch team. In 1996, he joined Disney Channels Worldwide, rising to the position of president and oversaw such hits as Hannah Montana, Lizzie McGuire, Phineas and Ferb and That’s So Raven as well as the creation of original movie franchises High School Musical, Camp Rock and The Cheetah Girls. In 2009, he was named chairman of The Walt Disney Studios, a position he held until April of this year. “I have known and admired Rich for many years,” said Elisabeth Murdoch, chairman of Shine Group. “He is a world-class executive and the ideal leader to build on our extraordinary momentum at Shine America. I am personally delighted that he has decided to join us and he will be a brilliant addition to the whole group. We all welcome him warmly. According to the online television schedule guide Digiguide, Nickelodeon UK has announced the Nickelodeon UK News that Nickelodeon UK is planning to premiere and show the brand new episode of the popular Nickelodeon comedy series "iCarly" called "iGet Banned" on Nickelodeon UK and Ireland and Nickelodeon HD UK on Friday 16th November 2012 at 5.30pm (repeated at 6.30pm on Nick UK's plus-one (+1) timeshift channel, Nickelodeon +1) as part of Nick UK's special month chock full of all-new episodes of "iCarly", where Nickelodeon UK will be premiering brand new episodes of the hit Nickelodeon sitcom "iCarly" every Friday night at 5.30pm (repeated at 6.30pm on Nick +1) as part of "November on Nickelodeon UK 2012" and as part of Nickelodeon UK's Autumn/Winter 2012 highlights! 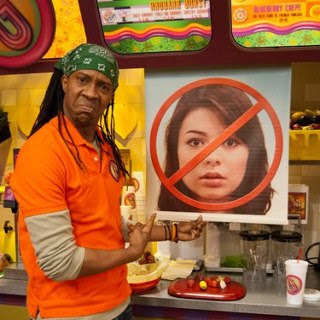 In the brand new episode of "iCarly" titled "iGet Banned", which premiered on Nickelodeon USA on Saturday 13th October 2012, Carly bans T-bo from her apartment, so he decides to get back at her by banning her from the Groovy Smoothie. Meanwhile, Freddie and Gibby want to be cool and decide to join a band with Freddie on electric guitar and Gibby on bass, but soon discover that although being in a band has many perks, it also has a few drawbacks. Nickelodeon's "iCarly" is a North American teen sitcom that focuses on a girl named Carly Shay (portrayed by Miranda Cosgrove) who creates her own web show called 'iCarly' with her best friends Sam Puckett (played by Jennette McCurdy) and Freddie Benson (portrayed by Nathan Kress). The series was created by Dan Schneider, who also serves as executive producer. The popular Nickelodeon comedy show "iCarly" also co-stars Jerry Trainor as Spencer, and Noah Munck as Gibby. Seasons 1–5 of "iCarly" was taped at Nickelodeon on Sunset, with Season 6 being filmed at KTLA Studios in Hollywood, California. The show premiered on Nickelodeon USA on September 8, 2007, and was originally rated TV-Y7, but was later changed to TV-G.
Nickelodeon UK has announced the Nickelodeon UK News that Nickelodeon UK is planning to premiere and show the brand new episode of the popular Nickelodeon comedy series "Victorious" called "Blooptorious" on Nickelodeon UK and Ireland and Nickelodeon HD UK on Friday 23rd November 2012 at 6.00pm (repeated one hour later at 7.00pm on Nick UK's plus-one (+1) timeshift channel, Nickelodeon +1), straight after Nickelodeon UK premieres and shows the brand new blooper themed "iCarly" episode titled "iBloop 2: Electric Bloopaloo" at 5.30pm (replayed at 6.30pm on Nick +1) as part of a special blooper themed programming stunt and as part of "November on Nickelodeon UK 2012" and Nickelodeon UK's Autumn/Winter 2012 highlights. The brand new "Victorious" episode called "Blooptorious" features interviews, bloopers, and outtakes of all the cast ever since the series began. The show is hosted and narrated by "Christopher Cane", a ventriloquist dummy, who introduces himself as the actor who portrays "Rex". Victorious - Blooptorious (clip one): Hilarious bloopers from Victorious (features bloopers made by Nickelodeon and "Victorious" star Avan Jogia, who plays the character Beck Oliver). Victorious - Blooptorious (clip two): More side splitting bloopers from Victorious (features bloopers made by Nickelodeon and "VicTORIous" star Elizabeth Gillies (also known as Liz Gillies) who portrays the character Jade West). Nickelodeon UK has announced the Nickelodeon UK News that Nickelodeon UK is planning to premiere and show the brand new episode of the popular Nickelodeon comedy series "iCarly" called "iBloop 2: Electric Bloopaloo" on Nickelodeon UK and Ireland and Nickelodeon HD UK on Friday 23rd November 2012 at 5.30pm (repeated one hour later at 6.30pm on Nick UK's plus-one (+1) timeshift channel, Nickelodeon +1) as part of a special Blooper themed programming stunt, where Nickelodeon UK will also premiere the brand new "Victorious" episode "Blooptorious" straight after at 6.00pm (repeated at 7.00pm on Nickelodeon+1), and as part of "November on Nickelodeon UK 2012" and Nickelodeon UK's Autumn/Winter 2012 highlights. In the brand new "iCarly" episode called "iBloop 2: Electric Bloopaloo", Ventriloquist dummy Rex Powers from "Victorious" interviews the cast and shows their bloopers from the show, while invariably insulting the actors and/or forcing them to record plugs for Rex's brand of salsa. (An exception being Noah Munck, who Rex treats as a god amongst men.) The interviews go in the following order: Jennette McCurdy (Sam), Nathan Kress (Freddie), Jerry Trainor (Spencer), BooG!e (T-Bo, though they did not review his bloopers), Noah Munck (Gibby), and Miranda Cosgrove (Carly). Guest stars: Christopher Cane as the voice of Rex, BooG!e as T-Bo. Notes: This is the sequel to "iBloop". The episode title is a reference to the 1980's film Breakin' 2: Electric Boogaloo. This episode carries the on-screen title "Christopher Cane's An Evening with iCarly". iCarly - iBloop 2: Electric Bloopaloo: Rip-roaring bloopers from iCarly. Nickelodeon USA Unveils First Teaser Trailer For "House Of Anubis" Season 3! Below is a streaming video and transcript of Nickelodeon USA's brand new official "Coming In 2013" "House of Anubis" Season 3 trailer/promo which Nick USA unveiled on-air on Saturday 27th October 2012 to celebrate and promote that Nickelodeon USA, along with Nickelodeon channels around the world (Nickelodeon International / Planet Nickelodeon), including Nickelodeon UK, will start to premiere and show season three of Nickelodeon's hit mystery drama series "House Of Anubis" in 2013! Coming in 2013, the mystery that kept you on the edge your seat will return, and something inside this house will reawaken! In the brand new season of House of Anubis! [Burkely Duffield 'Eddie': This year, on House of Anubis, there's a lot more of, I'd say everything! Jade Ramsey 'Patricia': So season three kind of picks up where season two ended. Brad Kavanagh 'Fabian': We found out that Eddie turned out to be the Osirian, so, all the [...] in the house, everything, are all now on Eddie. So where will this season lead? In a brand new season of House of Anubis, coming in 2013, only on Nick! One of the main plots in the third season of "House of Anubis" will be about the teens battling against the teachers as they race to defeat an ancient curse and prevent a great evil from reawakening forever. Season Three of "House of Anubis" will also introduce brand new characters to "House of Anubis" fans and Nickelodeon viewers, including a brand new character called 'KT Rush' (portrayed by new Nickelodeon Star and actress Alexandra Shipp), who will be "an adventurous, sunny and tenacious American girl who becomes a vital part of the Sibuna gang and partners with Eddie to unlock the new Anubis House mystery", and 'Willow Jenks' (played by new Nickelodeon Star and actress Louisa Connolly-Burnham), who will be "a student from another boarding house who yearns to join Anubis House". Unfortunately, Nickelodeon Star and "House of Anubis" actress Nathalia Ramos, who plays the primary protagonist SIBUNA character 'Nina Martin' in the first two seasons of Nickelodeon's popular mystery series "House Of Anubis" has announced and confirmed that she won't be returning to be in the cast of season three of "House of Anubis" due to school related issues. Roger Barclay, who plays "House of Anubis" villain Rufus Zeno/The Collector, has also confirmed that he also won't be returning to be in the cast of season three of "House of Anubis". Nickelodeon Star and "House of Anubis" actor Bobby Lockwood, who played the HoA character 'Mick Campbell' in the first two seasons of Nickelodeon's popular mystery series "House Of Anubis", has also announced and confirmed that he won't be returning to be in the cast of season three of "House of Anubis". Nickelodeon UK has announced the Nickelodeon UK News that Nickelodeon UK and Ireland's preschool channel, Nick Jr. Channel UK and Ireland, is planning to premiere and show brand new episodes of Nick Junior's popular animated British preschool series "Peppa Pig", including the brand new "Peppa Pig" episodes "Madame Gazelle's Leaving Party", "Desert Island" and "Perfume", from Monday 5th November 2012 at 8.00am, 12.00pm and 6.00pm, as part of Nick Jr. UK's Autumn/Winter 2012 highlights and "November on Nick Jr. UK 2012"! "Peppa Pig" is a British animated preschool television series that follows Peppa Pig, Britain's most loved little piggy, who lives at home with her little brother George Pig, Mummy Pig, and Daddy Pig. Peppa Pig adores playing games, dressing up, days out and most of all jumping in muddy puddles! In the brand new episode of "Peppa Pig" called "Madame Gazelle's Leaving Party", the children are sad when their favourite teacher, Madame Gazelle, announces that she is leaving the Playgroup, and decide to throw her a leaving party that will give her a good send-off. In the all-new episode of "Peppa Pig" titled "Desert Island", when a fishing trip goes wrong, leaving Grandpa Pig and Grampy Rabbit stranded on a desert island, Captain Daddy Dog is the only one able to save them, and he soon realises he misses the sea after all. In the brand new episode of "Peppa Pig" called "Perfume", after smelling Granny Pig's perfume de lavender, Peppa experiments with the flowers in the garden to create her very own special smell. Enjoy A Final Fling At Blackpool Pleasure Beach, Including Nickelodeon Land, With A Special Two-For-One Wristband Offer! The UK's favourite amusement park is offering thrill-seekers a final chance to ride its collection of white-knuckle rides in 2012 with a special 2-4-1 wristband offer! 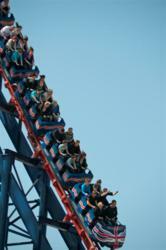 Get ready for a Final Fling at Blackpool Pleasure Beach with a fantastic 2-4-1-wristband offer! The Big One roller coaster at Blackpool Pleasure BeachTo celebrate the weekend of November 10th and 11th Unlimited Ride Wristbands when purchased online at http://www.blackpoolpleasurebeach.com are 2 for the price of 1, that’s a saving of up to £35. This weekend is the last chance to ride a great selection of white-knuckle rides, fantastic heritage roller coasters and our best dark rides. Experience the Big One roller coaster, with its sheer drop and speeds of up to 85mph; test your nerve on Infusion, the world’s first fully-suspended coaster over water and brave Valhalla, the world’s biggest dark ride and recently voted one of Europe’s best water rides. Race friends on Pleasure Beach's twin-track racing coaster, the Grand National and go for a dip on the Big Dipper before trying out the twists and turns of the frenetic Wild Mouse ride. If guests prefer things more sedate then take a trip on the River Caves, let off some steam on the Pleasure Beach Express which tours the 42-acre attraction or enjoy the Spectacular Dancing Water Show with a glass of champagne or refreshing drink from our selection of catering outlets. And don’t forget the UK's only Nickelodeon Land, packed with 12 rides and attractions. Soak your friends and family on SpongeBob’s Splash Bash and take a trip on Dora’s World Voyage or reach for the skies on Avatar Airbender. The 2 for 1 offer applies to gate priced wristbands; 12 years and over wristbands at £35, 11 years and under wristbands at £30 and Nickelodeon Land wristbands at £20. Visit http://www.blackpoolpleasurebeach.com for more information. This week, Eurodata TV has provided us with the ratings for the top-five program broadcasts with kids four to 14 in France between September 17 and October 14, 2012. Virtual worlds have been around in the kids industry for a few years now. Andy Fry investigates which are the most popular sites and how television producers and distributors are working with the likes of Moshi Monsters and Club Penguin to expand their brands. There’s no standard definition or description for kids virtual worlds. But most of the major brands in the market are based around a mix of social interaction and casual game-play. The classic example is Club Penguin, launched by Canadian entrepreneur Lane Merrifield and acquired by Disney in 2007. In this case, children sign up as registered users and take on the form of penguin avatars. They then go to a fantasy world called Penguin Island where they can play games, customise their characters and talk to other kids disguised as penguins. Chat is moderated to ensure there is no kind of anti-social behaviour. Registered users of Club Penguin, typically aged 6-12 with a slight skew towards girls, can get a basic entertainment experience for free. But if they want the complete experience they have to pay a subscription fee of $6-8 per month. Club Penguin’s headline stats suggest that the site has 175 million registered users in 190 countries, up from around 12 million at the time of the purchase. This is good growth, but more important is the number who choose to pay. Disney is coy, but analysts estimate it is around 5-10% of users. This is about the same as when Disney bought the site and there is evidence that the company was hoping to increase the conversion rate by now. Back in 2007, Disney agreed to pay US$700 million for Club Penguin if it hit certain profit targets by 2010. But it failed to do so, meaning the deal value dropped to US$350 million, a saving for Disney, but an indicator of how hard it is to get punters to cough up cash. Disney has responded by trying to leverage the other assets within the parent group. Marvel Super Hero Takeover, for example, was a special event which allowed Club Penguin players to dress as their favourite Marvel Super Heroes or Super Villains and the event was the most trafficked in Club Penguin’s history, logging 20 million play sessions across 200 countries. Players spent over one billion virtual coins on Marvel gear. When Disney bought Club Penguin, it triggered a rush of virtual world launches, with an estimated 200 up and running by 2009. But within two years, the difficulty of converting kids and parents into purchasers, combined with the cost of moderation and refreshing content, led to numerous closures and mergers. One site that survived and is thriving is Mind Candy’s Moshi Monsters, which launched in 2007 and now has 65 million registered users in 150 countries. Like Club Penguin, Moshi makes money from subscribers, most of who are in a similar age bracket to its Disney rival. Like Disney, it doesn’t reveal what proportion of the user base pays, but Mind Candy founder and CEO Michael Acton Smith says the company is “very profitable”. Last year, analysts tagged the value of the company at US$200 million, since when it has grown considerably. While Club Penguin sees kids become Penguins, Moshi involves kids (65% girls) choosing monster pets then nurturing them, customising them and personalising their world. As with Club Penguin, there’s interaction and games, the latter providing the currency for kids to pay for personalisation. Acton Smith calls it as “a cross between Tamagotchi and Facebook for kids”. Of the two, Mind Candy has pushed more aggressively into merchandising, with around 100 Moshi licences ranging from plush toys to birthday cakes available via major retailers. This activity, which also includes a best-selling monthly magazine, is estimated to be worth around US$100 million at retail. One reason that Moshi seems to have done better than others in L&M is that it has created a stronger set of star characters. While Club Penguin also has a central cast of returning characters, the fact that Moshi activity revolves around six main monsters, and a supporting cast known as The Moshlings, has created the centre of gravity to build a consumer products programme. It has also acted as the foundation for expansion into other platforms. Last year saw the launch of Moshi TV, an online channel designed to be the home of short animations based on the Moshi Monsters world (see box). There are also IOS platform games. In a similar camp to Club Penguin and Moshi Monsters is Habbo, launched by Finland’s Sulake Corporation in 2000. It has about 230 million registered users across 11 language sites in 150 countries. Habbo CEO Paul LaFontaine says Habbo differs from the other sites in a number of ways, starting with the fact that it is targeted at an older age-group: “We mainly cater for 13-16 year-olds who want socialise in a safe space. Because of the age group, our emphasis is more towards social interaction than gaming,” he says. It has been a challenging year for Habbo, which was the subject of scrutiny by Channel 4 News in the UK over significant lapses in moderation. As a result, the site closed down its chat functionality while it tightened up its security procedures. Now, though, chat is back and there are signs that the site has ridden out the storm. These include the launch of a Turkish version and “explosive growth in Latin America,” says LaFontaine. Arguably, Habbo is dealing with the toughest of all age-groups, since it is dealing with kids that are looking to challenge parental authority and test the outer edges of legally-permitted behaviour. At the same time, it is beginning to crossover with more mainstream social media. In developed markets most kids are already on Facebook and Xbox by this age, giving them alternative means of peer interaction. Nevertheless, LaFontaine is optimistic about the future for the model, saying that Habbo’s focus on ID anonymity for teens makes it unique among virtual worlds in the West. Significantly, Taomee's sites have spawned spin-offs, with Mole's World and Seer both being turned into books, movies, magazines, events, mobile Apps and two seasons of animation. There has also been expansion into Taiwan. Deals for Korea, Japan and Southeast Asia are also in place: “We've been genuinely surprised by the success of the sites,” says Keung. Players outside the core demo of 7-12 are getting involved. “We really think the world of Seer is something that people might play their whole lives. There’s great spin-off potential because it is about so many galaxies,” Keung adds. The sites mentioned above were all independent start-ups with no previous brand history. But the fact that Disney acquired Club Penguin shows that the big studios are keen to be involved in this space. The strategic question for these big IP-owning companies, however, is whether to launch brand new concepts or utilise their existing content assets. Turner Broadcasting’s Cartoon Network, meanwhile, has FusionFall, a concept that allows users to take on the form of an avatar and then play a sci-fi-style adventure game alongside popular Cartoon Network characters like Dexter and Ben 10. Viacom-owned Nickelodeon has tried all kinds of variants over the last decade. In 2000 , it acquired Neopets for US$160 million. Now available in ten language versions, the site allows kids to own virtual pets and buy them items with virtual money. This money can be earned by playing games or it can be bought with real-world currency. 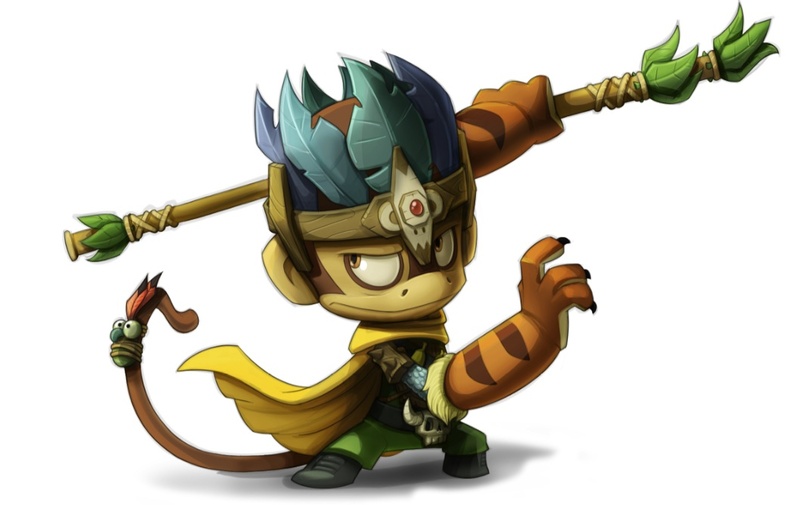 Much more recently (2011), the company launched Monkey Quest, a virtual world set in the land of Ook. Using the familiar formula, users can play a basic set of games for free or pay a subscription which will allow them to interact with other users and go on quests. The rollout of Monkey Quest has been spearheaded by Nickelodeon senior VP Kyra Reppen who, at launch, said that the site was intended to offer younger audiences the kind of sophisticated gameplay and collaborative approach usually found in adult virtual worlds such as World of Warcraft. At the same time, the goal was to provide more of a console-style gaming experience, reflecting the growing influence of platforms like XBox and Playstation. It’s still early days for Monkey Quest, but by utilising its other channels for promotional purposes the company has managed to attract more then 10 million registered users. It has also started building the brand out across other channels, with a mobile app called Monkey Quest: Thunderbow. There are also rumours that sister company Paramount Pictures is making a Monkey Quest movie, though speculation about a TV spin-off has so far attracted a negative response from Reppen. Strictly speaking, you could argue that the absence of peer-to-peer social interaction disqualifies sites like Superbia and FusionFall from being “virtual worlds”. But there’s no question that the combination of avatar customisation plus game-play (without moderated social interaction) is an important area. It’s not just the fact that virtual worlds are expensive to run, adds Doolan, but there’s also the fact that content owners now have the option of going down the mobile app route instead. While there’s also a cost consideration with apps, properties like Capcom’s Smurf Village have generated huge revenues from virtual product sales without needing to go social. Other big brands are moving this way too. Interactive entertainment company Ludia and Universal Partnerships & Licensing have just launched the Jurassic Park Builder game app for iPhone, iPad and iPod touch. Based on the film franchise, players build their own Jurassic Park from the ground up, covering everything from building roads to breeding species. In addition to the basic mechanic, there’s multi-player gameplay and built-in social features, the ability to visit, help and gift friends. As this market expands, properties associated with the internet like Zynga’s Farmville have struggled to keep up their momentum. According to research firm AppData, the number of people who play FarmVille each month peaked in January with 34 million people. At last count it was down to 18 million although it hopes to reverse that trend with Farmville 2. Australian Commercial Television Network "Network Ten" Acquires Broadcast Rights For The Popular CGI-Animated Series "Matt Hatter Chronicles" For Their Free-To-Air Channel "ELEVEN"
Australia's Network Ten has snapped up boy-skewing, 3D/CG-animated series Matt Hatter Chronicles for its free-to-air channel ELEVEN. 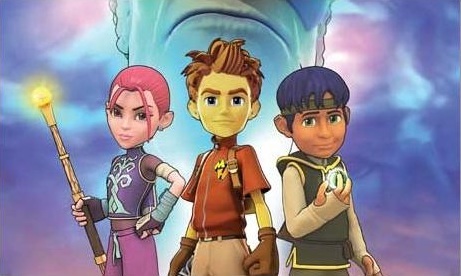 Scheduled to premiere in 2013 on ELEVEN's Toasted TV block, the 26 x 30-minute Arc Productions-animated TV series from UK-based Platinum Films and Toronto-based Dream Mill will also be supported by an online and social media digital interactive component at matthatter.com. The series, which has been a ratings success on Nicktoons and ITV in the UK, debuted on Canada’s Teletoon (English and French speaking) on September 8 and additional broadcasters on-board include Nickelodeon (Australia and New Zealand), RTE (Eire), SABC (South Africa) and JCC (Middle East). The brand’s L&M program is also set to expand with consumer products launching in 2013 and a recent deal by Platinum will see ITVS GE represent rights for merchandising, publishing, promotional and home entertainment in the UK, Eire, Australia and New Zealand. 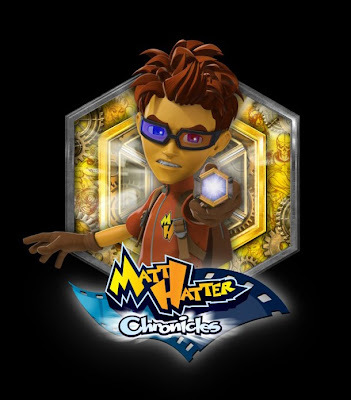 Australia's Network Ten has acquired kids' adventure series Matt Hatter Chronicles for broadcast in 2013. 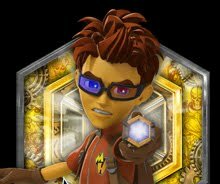 The HD CGI animation, produced by indie Platinum Films and Toronto-based Dream Mill Inc, tells the story of a boy that has to defend the “multiverse”. The 26 x 30 minute series will air as part of Eleven's Toasted TV. Last month, Platinum launched a digital hub for the series – matthatter.com – which features 200 pages of content that allows fans to find out more about the hero. It received 50,000 hits in its first weekend. Online activity, including social media, will be rolled out to support its launch on Eleven. Matt Hatter Chronicles is show on Nicktoons and ITV in the UK, Teletoon in Canada and has already sold to Nickelodeon in Australia and New Zealand, RTE in the Republic of Ireland, SABC in South Africa and JCC in the Middle East. Further deals are expected to follow for Western Europe and the rest of the world. Australia’s Network Ten has nabbed boys’ animated adventure-comedy Matt Hatter Chronicles for its digital free-to-air channel, ELEVEN, series producer Platinum Films has announced. The 26 x 30 HD CGI show will premiere in 2013 as part of ELEVEN’s Toasted TV line-up. Produced by leading U.K. indie Platinum Films and Toronto-based Dream Mill Inc. and animated by Arc Productions (the Canadian studio behind Gnomeo & Juliet), Matt Hatter Chronicles charts the adventures of Matt Hatter, a 13-year-old schoolboy whose life is changed forever when he discovers his family defends a gateway to another dimension called the Multiverse—in order to protect the Multiverse and save his grandpa, Matt and best friends Roxie and Gomez must defeat and capture an assortment of powerful villains from movies, myths and legends. Last month, Platinum launched the first phase of www.matthatter.com, getting 50,000 hits in its debut weekend. Over 200 pages of content allows fans to take a walk in Matt Hatter’s shoes, and will lead to Platinum’s digital strategy to support the broadcast by collaborating with ELEVEN to develop online activity, interactive digital content and social media engagement. The series premiered on Canada’s Teletoon (English and French) in September and is already a favorite on Nicktoons and ITV in the U.K. where it has risen to a top rated position on both channels. Matt Hatter has sold to Nickelodeon in Australia and New Zealand, RTE in Ireland, SABC South Africa and JCC Middle East. Following MIPCOM, new deals across major Western Europe territories and the ROW are forthcoming. Nickelodeon USA Adds The New "Teenage Mutant Ninja Turtles" Theme Song To The US Version Of iTunes! Love the new TMNT song? It's now available on iTunes! Does anybody between two and seven years of age not love the Turtles? Based around the kiddie TV series (currently in separate shows in syndication and CBS), the concept had already moved into films before it embraced rock & roll in 1990, with a very successful live concert tour and a major tie-in with Pizza Hut. The music is a derivative mix of pop, rock, rap, and metal, and has enraptured the little ones into getting their parents to spend big bucks. To celebrate the spookiest and scariest month of the year and Halloween, Nickelodeon channels and networks around the world (Nickelodeon International / Planet Nickelodeon) have unveiled some thoroughly haunted Halloween-themed Nickelodeon goodies for visitors to their official Nickelodeon websites to download to help and make sure that their Halloween celebrations go with a spooktacular BOO! Want to go Trick or Treating as a hero in a half shell? There's still time to download Nickelodeon Europe's great printable "Teenage Mutant Ninja Turtle" Mask / Bandana colouring in (coloring in) activity, which you can download and colour as your favourite "Teenage Mutant Ninja Turtle" character, or even color it in your own colour to be your very own "Teenage Mutant Ninja Turtle" character and to become the 5th member of the Lean, Mean Ninja Team! Although it's only available to download in German, in Belgium, in Swedish, in Dutch, and in Danish, the instructions are straightforward, simply download, print, colour in, cut-out, cut out the two holes at the sides, and attach some string or elastic to the holes to wear it around your head. The official Nickelodeon Japan website, NickJapan.com, has also unveiled some thoroughly haunted Halloween-themed Nickelodeon goodies to download, including a Halloween-themed "Spongebob Squarepants" computer desktop wallpaper featuring Nickelodeon Superstar SpongeBob SquarePants dressed up in a Wicked Witches Halloween costume riding a broomstick, Halloween-themed colouring in/painting activities featuring SpongeBob SquarePants and Patrick Star with their Halloween "Trick-Or-Treat" candy bags and Dora The Explorer and Boots The Monkey with a Halloween pumpkin which has been carved, and a 'Happy Halloween' printable craft featuring popular Nickelodeon Stars, including from "iCarly" and "The Penguins Of Madagascar". The official Nickelodeon Italy (also known as Nickelodeon Italia) website, NickTV.it, has also unveiled some thoroughly spine-chilling Halloween-themed Nickelodeon goodies to download, including Halloween-themed Nickelodeon computer desktop wallpapers featuring stars from hit Nickelodeon shows, "Spongebob Squarepants" (including one featuring a scary scene from 'The Krusty Krab' and another of Spongebob Squarepants dressed in a vampire Halloween costume), "Rugrats All Grown Up!" (Tommy Pickles in a vampire Halloween costume), "Edgar & Ellen", and "Dora the Explorer" (featuring Dora the Explorer dressed in a cat costume and holding a trick or treat candy/sweet container in the shape of a Halloween pumpkin), and PC screensavers, including one that features a Nickelodeon Halloween-themed scene from "The Fairly OddParents" (Timmy Turner in a Frankenstein costume and Cosmo and Wanda in the shape of spiders in front of the Turner's house). There's more Halloween treats to download on the official website of Nickelodeon Spain (also known as Nickelodeon Espana), Nickelodeon.es, including Halloween themed pictures and colouring in and craft printables featuring characters from popular Nickelodeon Stars, including from Nickelodeon Preschool's "Team Umizoomi" and "Dora The Explorer" (including a Dora The Explorer Halloween-themed Door Hanger to download, print-out and cut-out), and the popular Nickelodeon original animated series "SpongeBob SquarePants"! Nickelodeon's Mega-Popular Original Animated Series "SpongeBob SquarePants" Named The USA's Most-Loved Television Series! Here's how Spongebob floated to the top of the USA's top series in Web traffic and social media mentions. 12:22PM EDT October 25. 2012 - What's the most-loved series on television? And, frankly, how does one go about measuring that kind of passion? Fortunately, with so many ways these days for folks to express their enthusiasm for specific shows, there is more evidence available than ever. So USA TODAY, in an attempt to measure viewers' dedication, pulled data from a wide range of those platforms in search of Television's Most-Loved Shows. -- We collected data on social media activity, website traffic and actual viewership: counts of Twitter mentions and followers, Get Glue check-ins, Facebook fans, fan-fiction activity, and Google Plus pluses and inclusion in circles. We added total social activity measured by social-media metrics firm Trendrr. -- With measurements from Web-traffic trackers at Hitwise Experian, we sifted in visits to television-show websites. -- And we stirred in prime-time, premiere-episode average viewership numbers from television's official scorekeeper, Nielsen Co.
Each measure accounted for a percentage of a show's final score. After all that, what bubbled up as the series that commands the most passion from its fans? 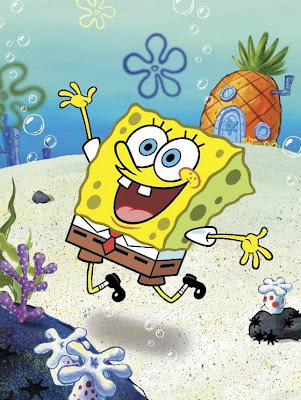 Tops in USA TODAY's TV-passion index: Nickelodeon's Spongebob Squarepants — which, perhaps not surprisingly, dominated the charts from both Hitwise and Trendrr — followed by Fox's fictional songfest, Glee, and the network's popular singing competition, American Idol.